When it comes to high-paying interior design jobs, it takes work experience to land the best jobs. But in the mean time, interior design students and recent graduates can gain important real-world experiences at an entry-level job. Interior design college graduates can enter the workforce directly without any prior industry-related work experience through available entry-level opportunities. “Working as an entry level interior designer requires at a minimum an associate’s or bachelor’s degree in interior design and sometimes a license depending on the state in which you would like to pursue this career path. The average entry level salary for an interior designer is $37,758, based on research done by salary.com. The salary ranges vary across states and even metropolitan areas, so make sure to check what interior designers make in your region, especially if you want to do freelance work. Interior design is an increasingly popular field for many talented young people: the creativity involved makes it a passionate career for many, with the added flexibility to do contract or freelance work on the side. The job outlook for interior designers is particularly good, as this occupation is expected to grow faster than average at a rate of 19 percent from 2008 to 2018, according to the BLS. Both businesses and homeowners are expected to drive the demand for interior designers for the years to come. However, the competition in this field may stiffen in the near future. This should not discourage you, but rather make you proud that you are part of a field that is growing and attracting more interest. 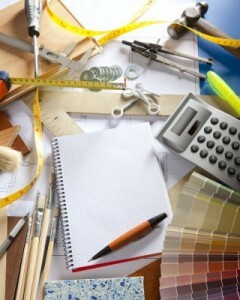 Read more about the types of entry-level jobs and requirements for interior design graduates at CollegeGrad.com’s by searching the directory of Entry Level Interior Design Jobs.